I’m Pete and I’m a wedding videographer with 3 decades in the video and film making industry, including working for 8 years in the Education Unit at the prestigious National Museum of Photography, Film and Television in Bradford (Now The National Media Museum), I have the skills and talent required to make a fantastic job of filming your wedding day. I have also spent time as part time lecturer at Futureworks University in Salford where I taught video editing and post-production at degree level. 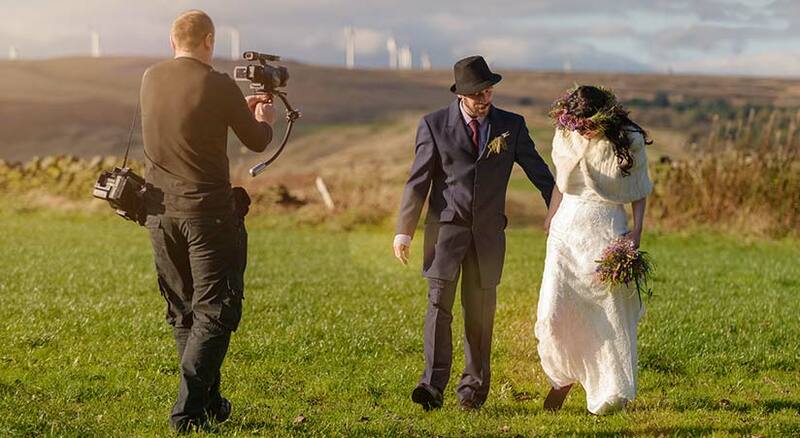 The combination of all of the above, with my 10 years experience of filming weddings, means that the capturing of your special day is in good hands, with the expertise and creativity required, coupled with the latest professional equipment, you don’t need to look any further. I think you will find my prices very competitive compared with other companies offering similar, high quality wedding films.